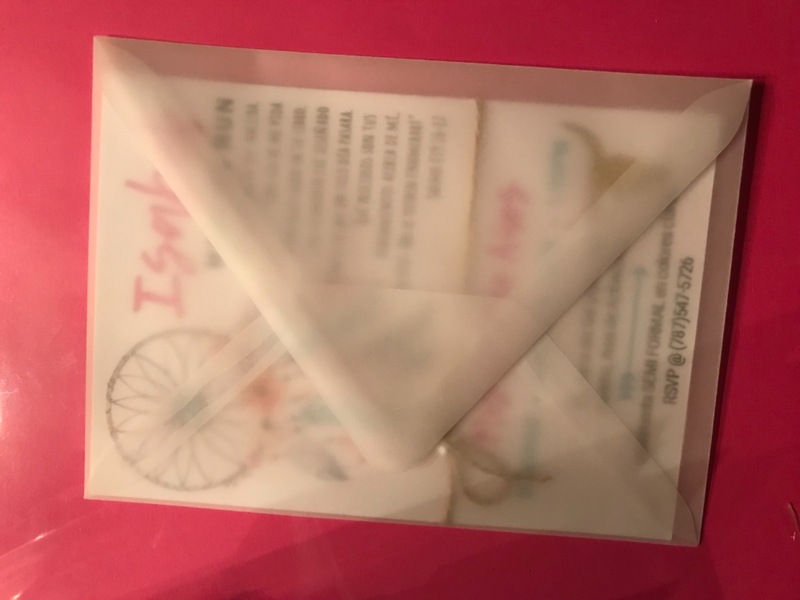 The Outer A-7.5 White Translucent Euro Flap Envelopes are used for placing your standard A-7 Envelopes into this outer envelope. They are great for sending announcements, invitations, small booklets, brochures, greeting cards, and distinctive business stationery. A-sizes have side seam construction, with large, nice deep "V" flaps. These envelopes are heavy enough so they don’t tear apart easily. Love using them, especially for brightly patterned envelopes. My only thing is that the glue holding the envelopes together shows. However it’s a translucent material so I’m not sure that there’s any other way. Excelent service, super fast and I love the envelopes. Good quality material. As a calligrapher, these vellum envelopes are downright delightful to write on! It's so nice that they come in an A 7.5 size AND a Euro flap, which is basically impossible to find elsewhere.